I'm not usually a lover of pastel baking. 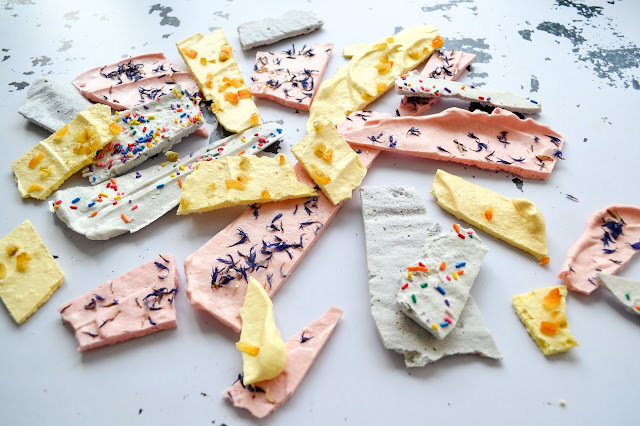 Pale pinks and yellows can quite easily teeter over into Cath Kidston and bunting territory and, while there's certainly a time and a place for both of those things, I try where possible to keep away from the twee when it comes to baking. What can I say - I prefer the Paris patisserie look to the village fete version, which is why I'm usually reticent to go too pastel in my approach. 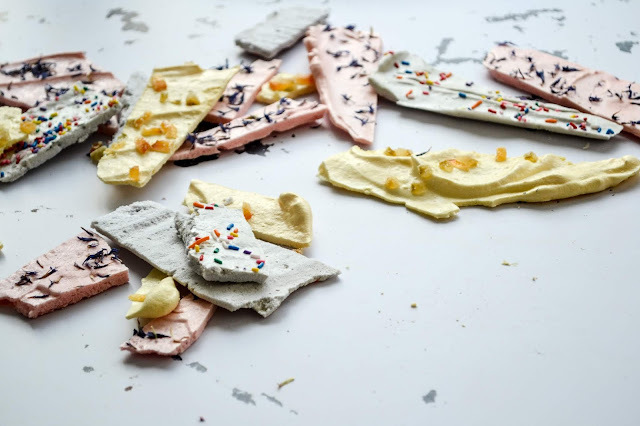 But as Easter approaches - intrinsically light, fresh and hopeful - I'm more prepared to let a glimmer of pastel into my kitchen. A touch of colour in meringue is somehow so much chicer than in a cake; with its cloud-like texture, there's something of the ethereal here which I can definitely get on board with. You guys shared so much kind feedback about my homemade Christmas gift guide series, which got me thinking about what you might like to make for loved ones come the four-day weekend. 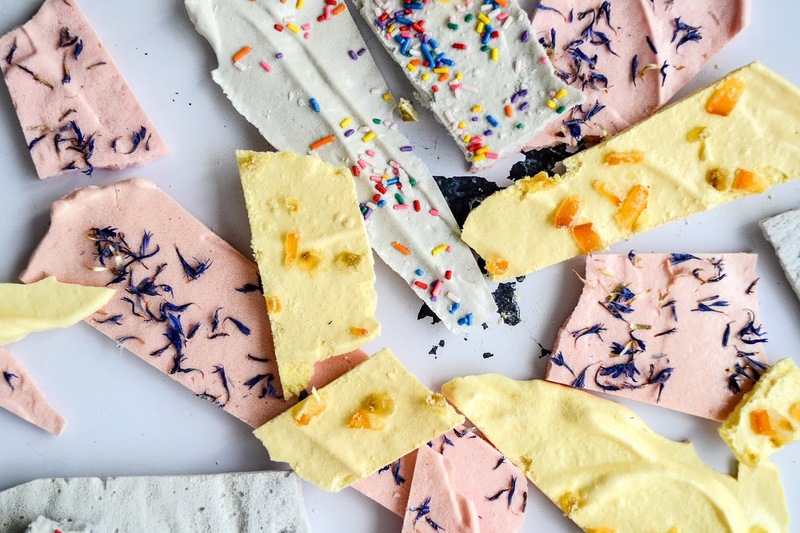 Meringue calls for just two base ingredients and, once you've mastered the basic recipe, where you take things from there with decoration and colour is entirely down to you. 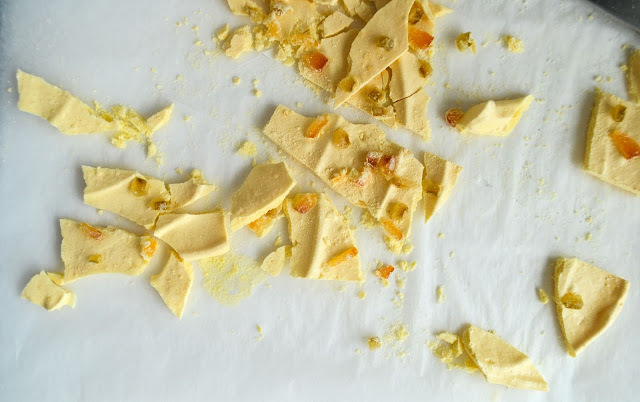 For me, part of the joy of these shards is their irregularity, so don't get too het up on the slicing - pack them up in cellophane, or use to top your Easter pavlova. Heat your oven to 120°C, and line three large trays with baking paper. In a squeaky clean bowl (you can lightly rub it with a slice of lemon first to ensure it is dust free), whisk the egg whites to stiff peaks. With the beater still running, add the caster sugar one spoonful at a time, whisking for ten seconds or so after each addition. This is to ensure the sugar is completely absorbed (which will prevent the meringue from weeping when it bakes). 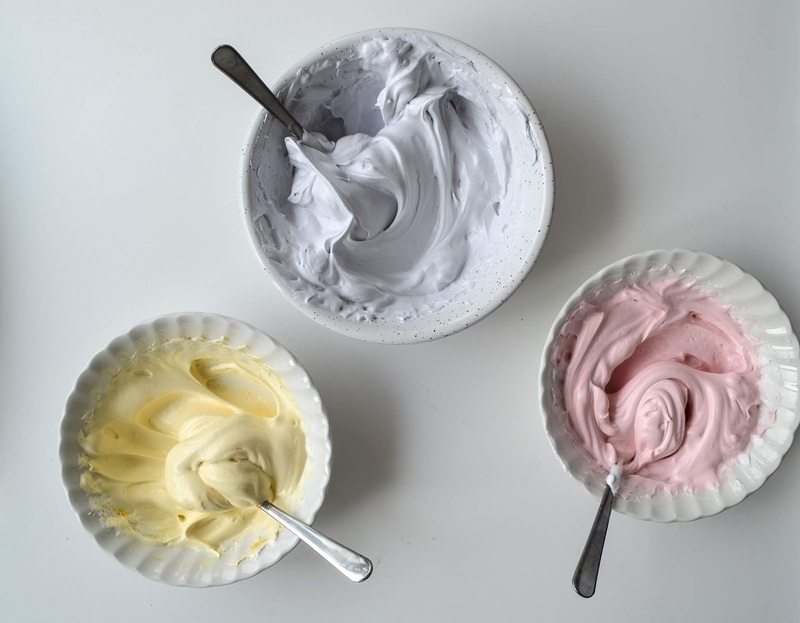 Divide the meringue into three bowls, and add a dab of gel colouring to each. Mix to fully distribute the colouring. 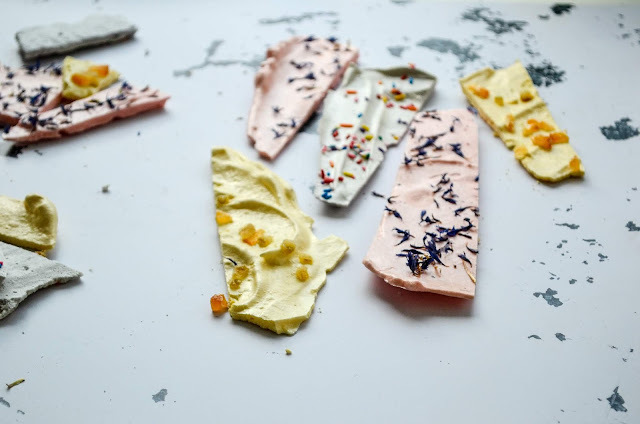 Spoon each batch of meringue onto separate baking sheets, and use a palette knife or offset spatula to spread the mixture thinly and evenly over the tray - you want the meringue to be about 1/2 a cm thick. Sprinkle with your chosen toppings. Place in the oven to bake for 25-40 minutes, until the centre feels only very slightly soft to the touch. Remove from the oven and lift the paper carefully onto a cooling rack to cool completely. Break into shards and serve.